Certainly a fixed point in time. A little fun with Photoshop. 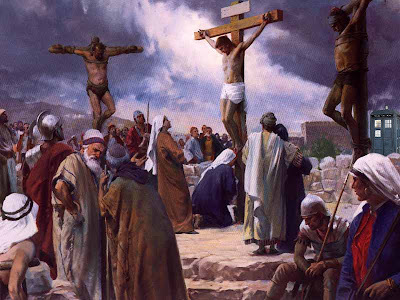 In the fictional world of Doctor Who, why couldn't he be at the Crucifixion of Christ? He did mention that he was there for the birth of Christ in the episode "Voyage of the Damned." I might do another one of these at some point, with The Doctor in different historical places.